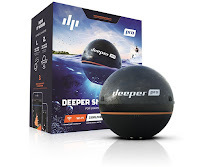 Health and Fitness Den: Comparing Deeper Smart Sonar PRO+ versus Sonar Pro, What's the Difference? Comparing Deeper Smart Sonar PRO+ versus Sonar Pro, What's the Difference? 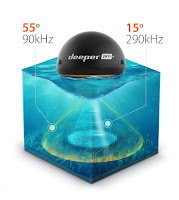 The Deeper Smart Sonar PRO+ and Sonar Pro are wireless castable echo-sounders that are Wi-Fi connection enabled, compatible with both iOS and Android smartphones and tablets. 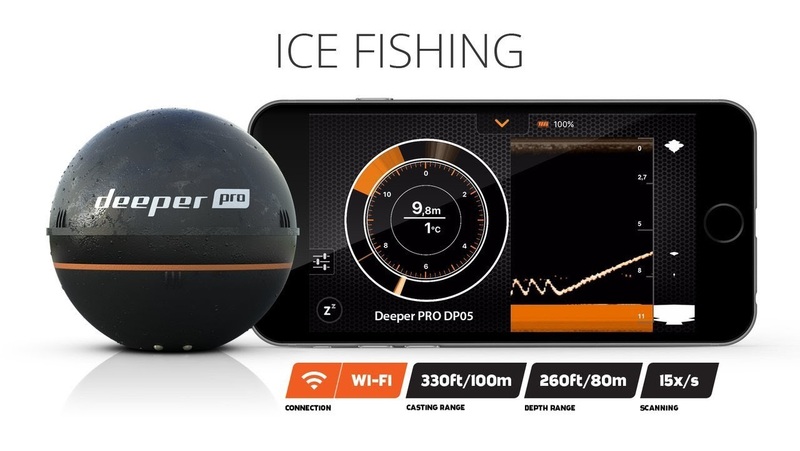 The Deeper Smart Sonar PRO+ and Sonar Pro can be used for both fresh and salt water fishing – you can use it for shore fishing, boat fishing, kayak fishing, river fishing, as well as ice fishing. These units can be used with a standard rod or line or Flexible Arm Mount. 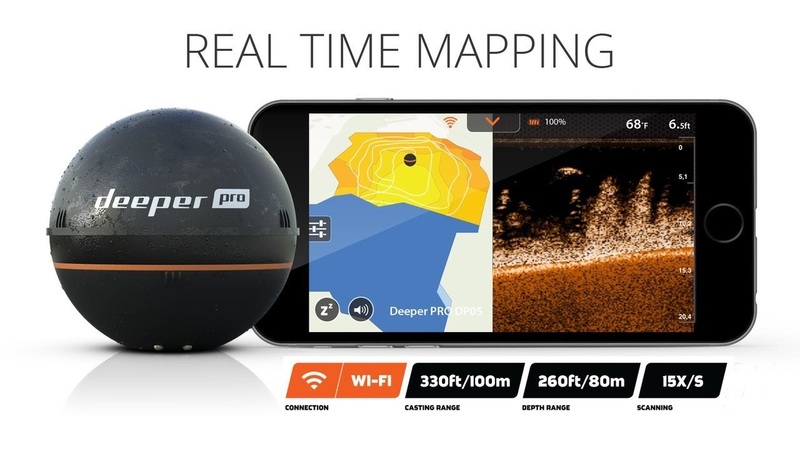 The Sonar PRO+ and Sonar Pro units are designed to float on the surface of the water and scan the entire bottom and water column – measuring depth, temperature, bottom structure, mark fish – all of which is then instantly streamed to your iOS/Android mobile device (with the free Deeper App downloaded on your smartphone/tablet). 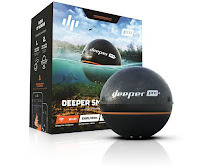 You don’t need a Wi-Fi internet connection or mobile data while fishing, as the Deeper Smart Sonar PRO+ and Sonar Pro units have an internal Wi-Fi access point that connects to your mobile device. Being Wi-Fi connection enabled, the Deeper Smart Sonar PRO+ and Sonar Pro offer better distance range and higher scanning frequency than the original Deeper Smart FishFinder which works on Bluetooth. Both the Deeper Smart Sonar PRO+ and Sonar Pro offer a maximum distance range between the unit and the iOS/Android device of up to 330 ft /100 meters, and a depth range of up to 260 ft / 80 meters (double the depth range of the Deeper Smart FishFinder and 2 ½ times the connection range). The Deeper Smart Sonar PRO+ and Sonar Pro’s higher frequency scanning allows for up to 15 scans per second to capture faster moving objects (the Deeper Smart FishFinder allows for up to 7 scans per second). The Sonar PRO+ and Pro also offer an 8x extended dynamic range, enabling more accurate detection of underwater objects. The higher scanning resolution of these units separates objects in a distance up to 0.04 ft / 1.3 cm to capture smaller underwater objects. The main difference between the Deeper Smart Sonar PRO+ and Sonar Pro is that the PRO+ has built-in GPS which the Pro does not have. The Deeper Smart Sonar PRO+ offers Boat Onshore GPS Mode (which enables water bed mapping while onshore or off) as well as Boat Mode bottom contour mapping. The Deeper Smart Sonar Pro only offers Boat Mode bottom contour mapping. 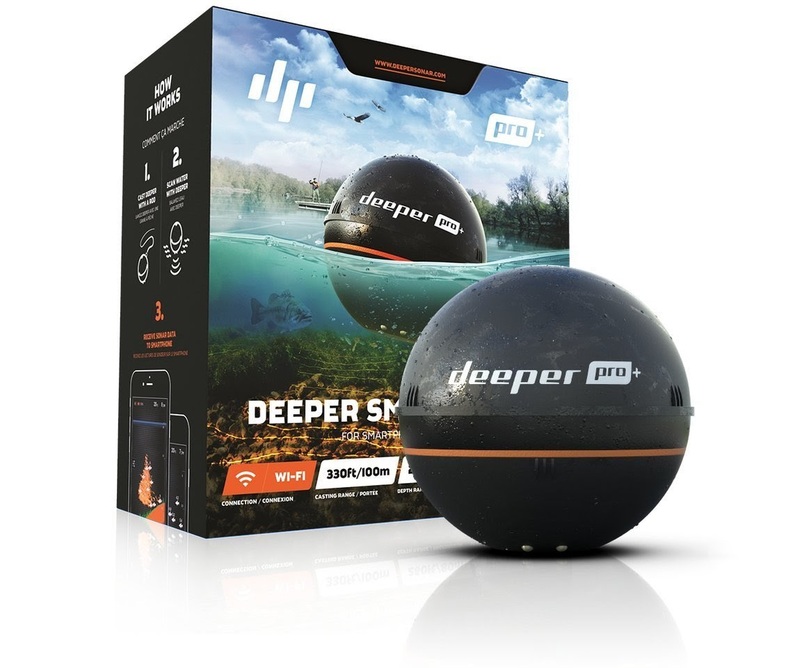 There’s a slight price difference online of around $30 between these 2 Deeper Smart Sonar Pro units. In Boat Mode, you can mark real-time bathymetric data on top of your archived offline map and display it directly on your mobile device’s screen. Your smartphone’s GPS is used to set your precise location. All of these maps can be archived for future use. There’s a slight difference in battery life between these 2 Deeper Smart units. 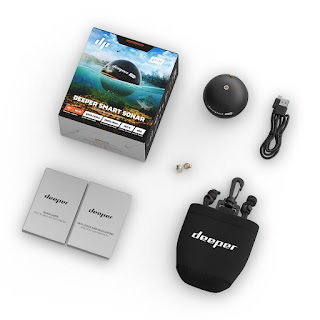 Both units use a rechargeable battery, with the Deeper Smart Sonar PRO+ lasting up to 5.5 hours continuous use on a single charge, while the Deeper Smart Sonar Pro can last up to 6 hours. Both have a complete recharge time of around 2 hours. 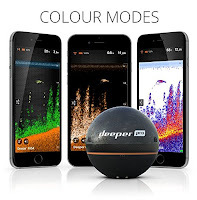 The Deeper App operates in both online and offline modes and offers a host of useful features including Solunar Forecast Calendar, Fishing Notes, Offline Maps, Weather Forecast, Day/Night Screen Color Mode, Camera, Social Media Sharing and more! 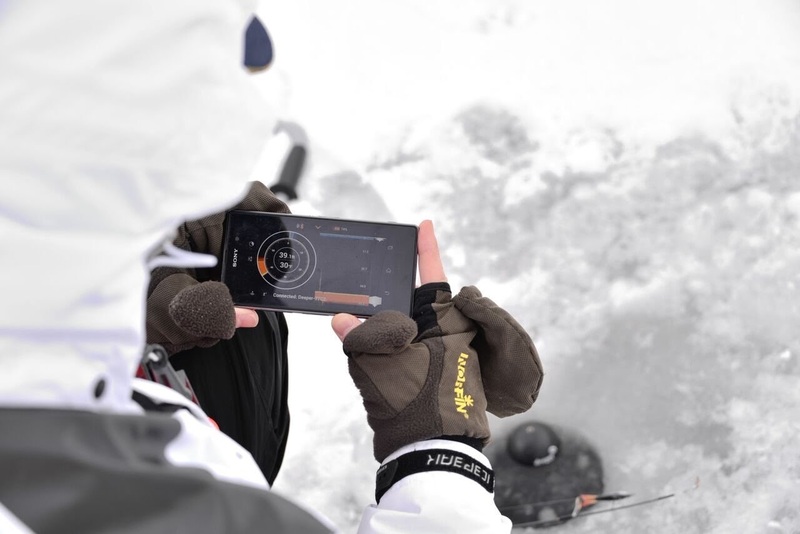 The Deeper App can display a traditional ice fishing Flasher Screen so you can monitor the conditions under the ice when ice-fishing. 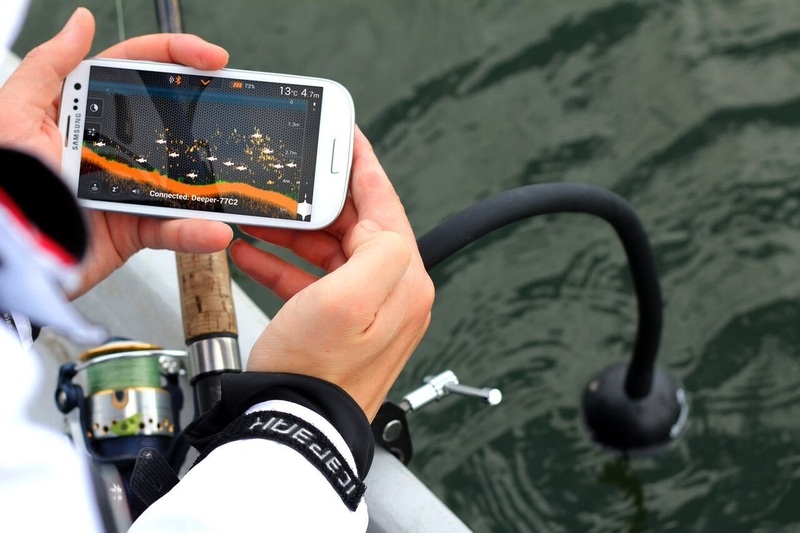 You can track the movement of small lure or bait in real time with the Amplitude Scope Mode. You can view both Regular and Ice Fishing Flasher Modes on one screen with the Split Screen feature. You can use the Zoom feature to enlarge areas to focus on specific objects. Both the Deeper Smart Sonar PRO+ and Sonar Pro are small and lightweight units that can easily fit in with your fishing gear or attached to your belt with the included neoprene carry pouch. *Prices/discounts indicated correct at time of writing/publishing and may be subject to change anytime. E&OE.